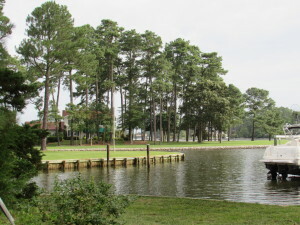 Abutting Linkhorn Bay, Linlier is a classic Virginia Beach neighborhood that boasts Azaleas, Camellia Bushes, Tulip Poplars, Pine trees, Bay Laurel, and more. A few miles set back from the Virginia Beach oceanfront, Linlier continues to be one of the most sought after and desirable neighborhoods in Virginia Beach. The beauty of Linlier is that it has successfully retained its character and charm as not one home or lot is exactly the same. Flanked by deep water estates at the perimeter with neighboring adorable ranches on sizeable lots to its interior is what makes this neighborhood so desirable. The preservation of land, lot sizes, and homes that show distinction and character from one another, keep Linlier at the top of a home buyer’s list. In finding your perfect home you will pass street names like Laurel View Drive, Winwood Drive, & Little Horseshoe Drive – all that tell a story about the historical natural beauty that Linlier is known for. While living in this wonderful community, you will love being tucked away from the hustle and bustle that Virginia Beach offers. However, Linlier is not a sleeping community. Its residents consist of professors, doctors, firemen, small business owners, military families, accountants, principals, dentists, lawyers, realtors, nurses, teachers, and more. These families also need quick and timely access that connects them to a world that is in motion. Their homes are located only a short distance from the highly rated Sentara Virginia Beach General Hospital, Hilltop Shops, Restaurants & Outdoor Market Place, the YMCA, Whole Foods Market, The Fresh Market & Trader Joe’s, the Virginia Beach oceanfront and boardwalk, the Norfolk International Airport, interstates and highways, NAS–Oceana, Virginia Beach’s Town Center shops and restaurants, schools, city parks, churches, businesses, libraries, movie theaters, The Virginia Museum of Contemporary Arts, Princess Anne Country Club, the Sandler Center for the Performing Arts, The Cavalier Golf & Country Club, the Chesapeake Bay, and more. While staying close to home, enjoy the abundant amenities that immediately surround Linlier. Meet your neighbors and start enjoying this amazing community centrally located in Virginia Beach. Owning a home in this neighborhood offers a lifestyle filled with choices. Enjoy the life, spend quality time with your family, meet your neighborhood friends, take some time to enjoy all that surrounds you, or just plain relax.